Your child might still be too young to read childrens books online, but maybe not! We interviewed the creator of a reading system that teaches children as young as 2 years old how to read in just 15 minutes a day. Click here to see our interview with Jim Yang and learn about his reading system. This is the best time for them to learn a love of reading. Children learn words, rhythm, and inflection from hearing others read to them out loud. So if you haven't already, begin reading aloud to them and when you don't have time, let them listen to stories online and read along with us! If you want some guidance in picking out starter books to read for this age group, Usborne Books online has a fantastic reading program for children ages 4-7 called the Very First Reading Set. It takes the guesswork out of finding age appropriate books and puts you in the driver's seat. It comes with a boxed set of 15 books, a parent's guide and wonderful online resources to give your children a jump start on learning to read. Click here for more information. 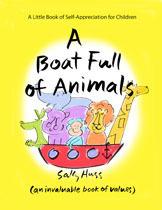 We just discovered a wonderful book online for this age to read called, A Boat Full of Animals, by Sally Huss that uses animals to represent desirable qualities and character traits! 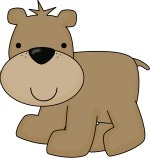 Children are invited to play a different animal game each day for 30 days or one a week for 30 weeks. 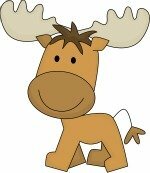 Each game leads a child to experience the attribute the animal represents. For example: the cat cleans up after herself; the giraffe stretches his greatness; the bird makes sweet sounds; the dog is a best friend. Once experienced, a child takes ownership of that quality or skill and places that animal on board his or her imaginary boat within himself. 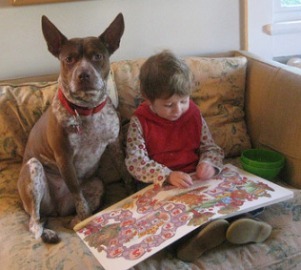 By this age, your little one's attention span is a little longer and you can begin to teach them to read! We interviewed the creator of a reading system that teaches your baby as young as 2 years old to read in 12 weeks! You can watch his daughter read at 2 and learn more about his Children Learning Reading System by clicking here. Ask these kinds of questions as you read childrens books online to them, then answer the questions for them if they don't know the answer. Take the time to count by pointing to each object, show them the color green by pointing to another object in the room that's green like their shirt or toy. Pretty soon they will be answering the questions themselves. They may even start "reading" the story to you. One way to really involve your child in a story is to read a story written about them with a personalized childrens book. My kids love these childrens books, they are very special to them and will be keepsakes as they grow older! Click here for high quality personalized children's books that have been featured in People and Parents Magazines. It's fun to read childrens books online!